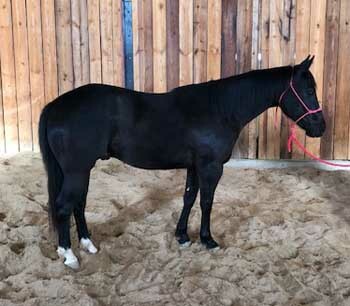 Hard to find coal black gelding that is ready to start the way you want. He is easy to be around and looks to cover alot of ground in the pasture or the arena. AQHA Ranching Heritage and 2019 HPRBA Futurity Eligible. Halter broke, gentle and sound.